Located in Middlesex County, Cambridge is a city in Massachusetts north of Boston, across the Charles River. It is the fifth-most populous city in Massachusetts with a population of over 100,000 residents. It is home to Harvard University and MIT, which are two of the biggest employers in the city. In addition to being a hub for a number of technology companies, there are several museums in Cambridge, including the Harvard Art Museum, the List Visual Art Center, the Peabody Museum of Archeology and Ethnology, and the MIT Museum. For many people in this community, buying a home is one of the largest financial decisions they will make in their lives. If you are buying or selling a home in Cambridge, you should consult a knowledgeable real estate attorney. At Pulgini & Norton, we have substantial experience guiding our clients through these transactions. The process of buying a home involves numerous steps. It usually starts with a buyer's mortgage pre-qualification and pre-approval. 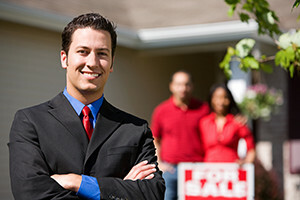 A seller must affirmatively disclose the existence of lead and provide the prospective buyer with a notification package regarding the Massachusetts Lead Law if the house was built before 1978. After a purchase price is agreed upon, an Offer to Purchase will be executed. This identifies the property, price, deposit, title, and provisions related to contingency periods. Standard offers to purchase include contingencies related to inspections. There are 5-10 days to complete a home inspection, but an experienced attorney may be able to negotiate so that you have more time. If a home inspection or other inspections turn up problems with the house, the buyer and seller will have to negotiate over which party is responsible for repairs. Any agreement about which party is responsible should be incorporated into the purchase and sale agreement. The purchase and sale agreement governs the remainder of obligations until closing. A purchase and sale agreement includes a property description, the price, the closing date, a repair contingency if one was agreed upon, and a mortgage contingency provision, which allows the buyer to terminate the agreement if he or she is unable to secure mortgage financing. Before closing, a title search should be run to make sure there are no liens, judgments, or encumbrances on the property. An attorney must certify that title is clear and marketable. The terms of a mortgage can be complicated, and having an attorney can help ensure that you understand these terms and secure financing on the terms most appropriate for your circumstances. A home mortgage consists of three key documents: the deed that conveys ownership interest, the promissory note that is the buyer’s and seller's contract, and the mortgage representing the lender's security interest. There are three types of deeds available: warranty deeds, release deeds, and quitclaim deeds. A warranty deed offers the most protection for buyers, but quitclaim deeds are the most common. Real estate transactions can be complicated. The buyer and seller have separate interests, and they should be represented by separate counsel. The lawyers at Pulgini & Norton are skilled in giving advice on residential property purchases to individuals in Cambridge and throughout Massachusetts. Call us at 781-843-2200 or contact us via our online form for a consultation.